This wildflower is common only in the western part of Britain and is found throughout Ireland. Wall Pennywort also thrives in warmer climates, including the Algarve in southern Portugal. This succulent plant, a member of the stonecrop family, has its leaves joined into a tube. 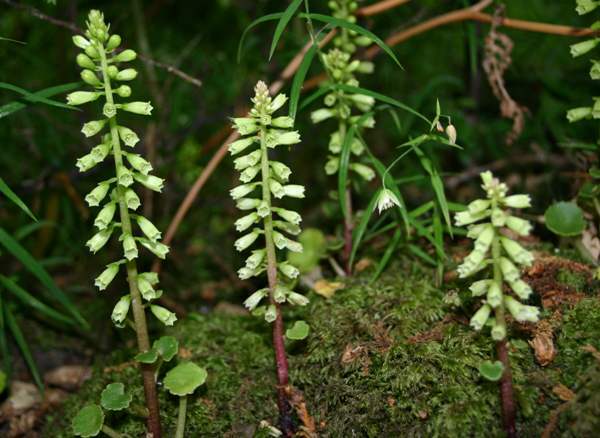 Navelwort is commonly found on walls and steep banks, especially in permanently damp, shaded areas. When exposed to sunlight and drought theleaves curl up and the stems and flowers turn reddish. 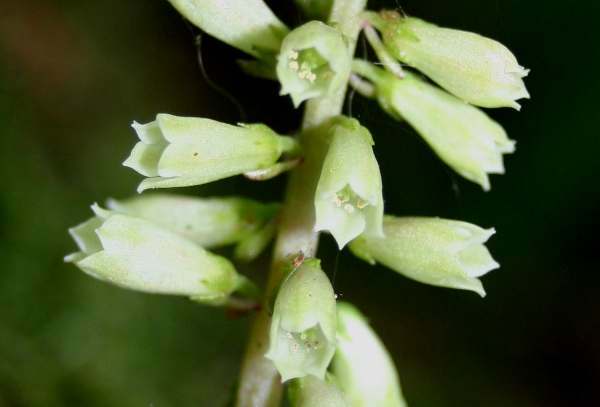 Palid spikes of bell-shaped flowers of the navelwort first appear in May, and the green fruits ripen through the summer. The plants shown on this page were photographed in Wales during July.